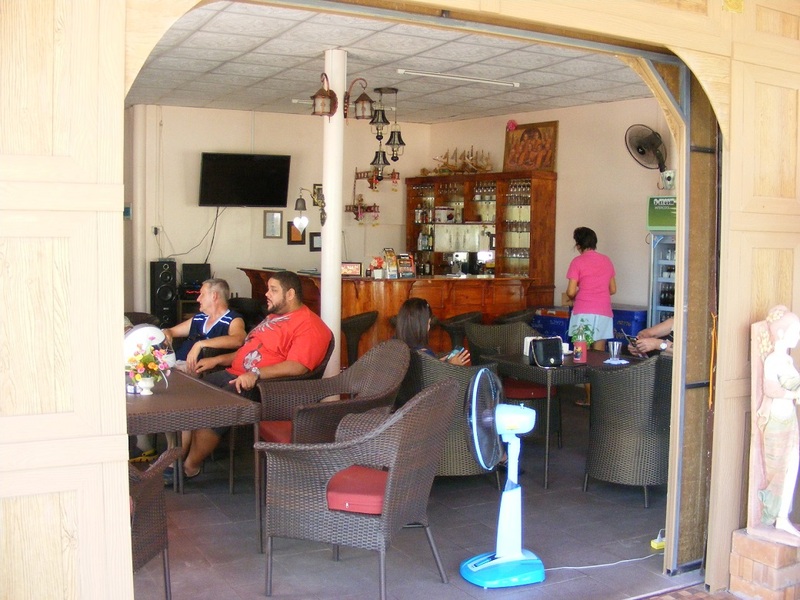 The Smiling Frog Bar and Restaurant opened in mid 2015 which is managed by a young Thai lady who once worked in Nan's Bar in Nutty Park. 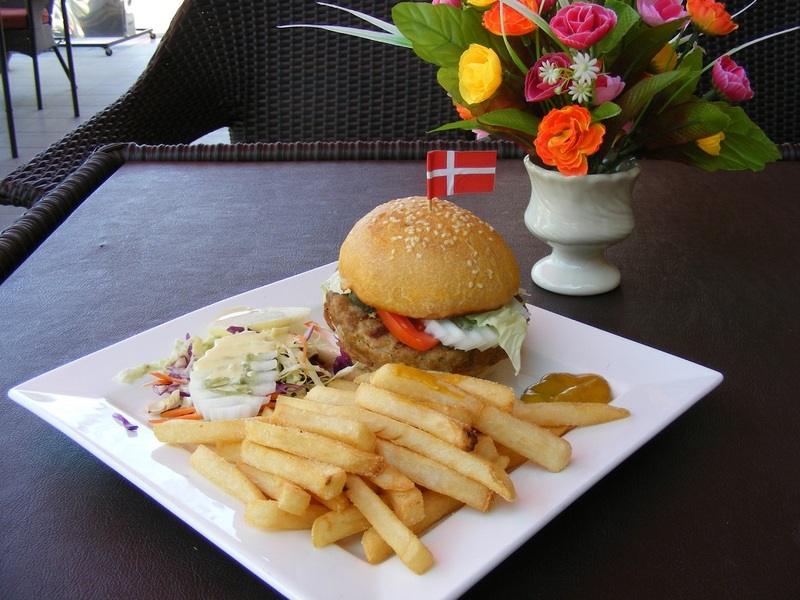 The bar has a Danish theme in part, in as much as the Danish flag appears here and there but little beyond that. They serve a fairly typical mix of pizza's, burgers, steaks, fried chicken, salads, sandwiches and spaghetti dishes. There is also a range of Thai options so the wife or girlfriend can still enjoy a meal here too if she is not in to the western delights. There are two table outside the building and three inside, enough to seat up to 24 people. The chairs are rattan style with the table tops a faux leather look about them, which looks pretty good. There is a 32" wall mounted TV behind the bar counter which is hooked up to a laptop and sound system. This is used mostly to access YouTube, which is common practice with the bars in Day & Night, Nutty Park and most bars in Udon Thani. The exterior of the bar has had a little thought put in to it, is a little different to most and is quite impressive. 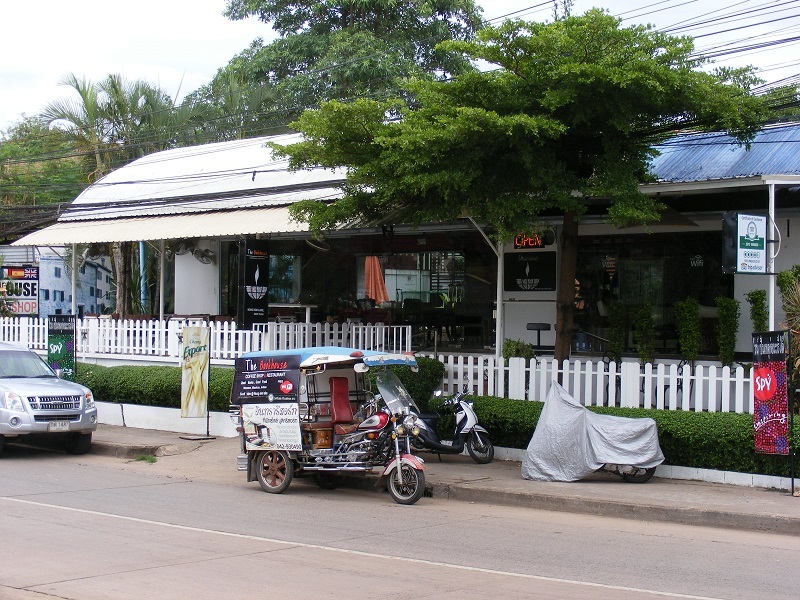 Many of the shops and bars in Udon Thani have horrible sliding metal shutters which are ugly as sin when closed, and not much better when drawn back open. The Smiling Frog have built a wooden panel frame on both sides to hide these features, not in total but enough to not make them too obvious. If you like the odd massage then you only have to walk no more then 20m to find the first of three massage parlours, in a row. 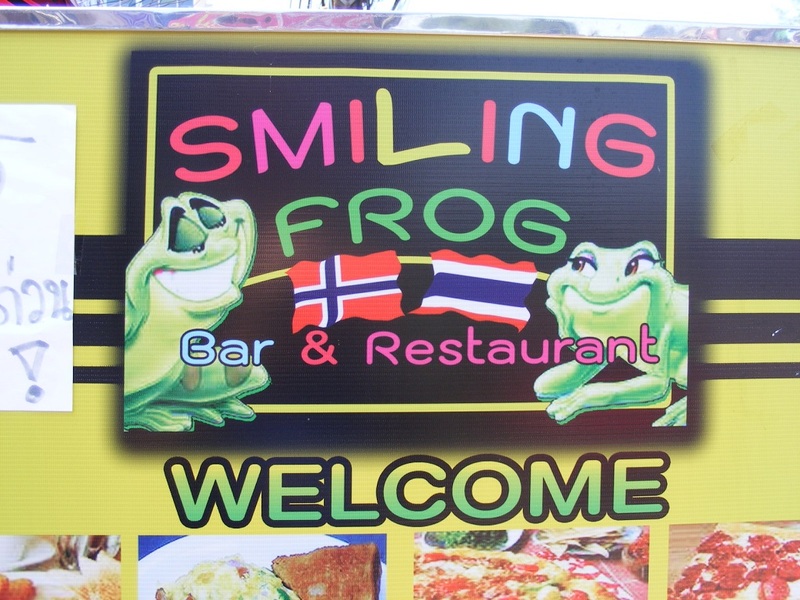 Where is Smiling Frog Bar & Restaurant in Udon Thani? 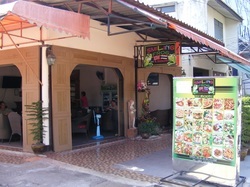 The Smiling Frog Bar & Restaurant is located on Prajak Sillapakom opposite the Nutty Park Nightlife complex between Central Plaza and the Night Market.